Jonathan started his career at the Investment Bank, ABN Amro. He joined Zurich Financial Services in 2001 in the Large Corporate Clients division. Jonathan has worked for the company in London, Zurich, Hong Kong and is currently based in Singapore. Jonathan is Country CEO and CEO of General Insurance for Zurich’s operation in Singapore, overseeing the Singapore market and selected countries in Asia. 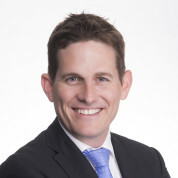 Jonathan was formerly the COO for Zurich’s Global Corporate business in Asia Pacific and prior to that he held positions in Sales and Distribution, Operations, Finance and Strategy. Jonathan’s responsibilities include profitably growing the business in Asia, overseeing a workforce of 150 staff and establishing and developing the CSR strategy and community partnerships for the company in this territory. Jonathan holds a Bachelor of Commerce Degree (Economics, Commercial Law and Accountancy) from the University of Stellenbosch. Jonathan is a 2014 World Economic Forum Young Global Leader (YGL).